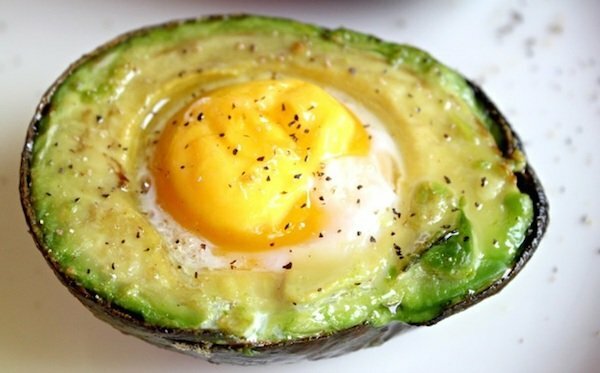 This Best Breakfast Baked Avocado Eggs Recipe is my new favorite healthy breakfast idea. Easy to make, packed with nutrients, and so tasty. Perfect to start your day the right way! When it comes to nutrition, avocados are the holy grail. I love avocados, and try to incorporate them in my family meals as much as possible. Avocados are not just for making guacamole or salads. You can cook, grill, and bake avocados! Like this super easy and healthy avocado eggs recipe. One of my favorite breakfast ideas so far. Avocados have more potassium than a banana, they’re also a great source of lutein, a carotenoid that works to prevent eye disease and have been shown to lower cholesterol. Half an avocado contains 138 calories and 14.1g fat, 3.4g of fiber to help you feel fuller for longer. It contains a quarter of the recommended daily intake of heart-healthy folate, which helps prevent birth defects if you’re planning a family. They contain naturally good fats; in fact over 75% of the fat in avocados is good fat with 3g coming from monounsaturated fat and 0.5g from polyunsaturated fat per 1-oz serving. We really need those healthy fats in our diets! Avocados are really one of the best foods for babies starting at 6 months of age. They are creamy, naturally sweet, and so nutritious. At home we eat them almost everyday! They are also cholesterol and sodium free. One of the world’s healthiest foods! Please see Spaghetti Squash And Raw Pesto Avocado Sauce and Creamy Avocado Cilantro Ranch for more ideas. And if you want a cool tip to have your avocados ready at all times, please also see How to Ripen A Rock Hard Avocado In Just 10 Minutes. It really works! 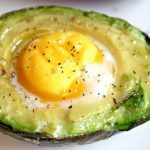 This Best Breakfast Baked Avocado Eggs Recipe is so easy to make. You only need avocados, eggs, and some salt and pepper. I love the fact that this is a sugar free recipe. And it is baked which means: mess free! All it takes for this recipe is about 15 minutes to have the perfect healthy breakfast so you can start your day full of energy. Remember that breakfast is really the most important meal of day. Start your day with good fats, protein and lots of nutrition. If you want more homemade breakfast ideas and learn about the worst processed foods for breakfast, please see my post 5 Worst Breakfast Foods For Kids Plus DIY Healthier Options. No processed ingredients, no sugar. Oh…..and one more thing…. the kids LOVE it. The perfect way to start your day with lots of nutrition. Gluten-free, dairy-free, no sugar, keto and paleo friendly recipe. Scoop out some avocado from the center to make room for the egg. Break an egg into the center of each half avocado. Don’t worry if some of the white spills out as long as the yolk is intact..
Bake in oven at 400 degrees for about 10-15 minutes until whites are set and yolk is runny. Please check out my ideas for easy to make, healthy, and homemade family meals. I am not a chef or have many years of experience cooking. So most of my recipes are very easy to prepare. I hope you enjoy my recipes. Yum! I’ve never thought of doing this! Have you tried making these ahead and rewarming? Hi Amanda, I don’t think it will work because of the egg. Messiest recipe ever if you lose the egg white 😜 but worth it. 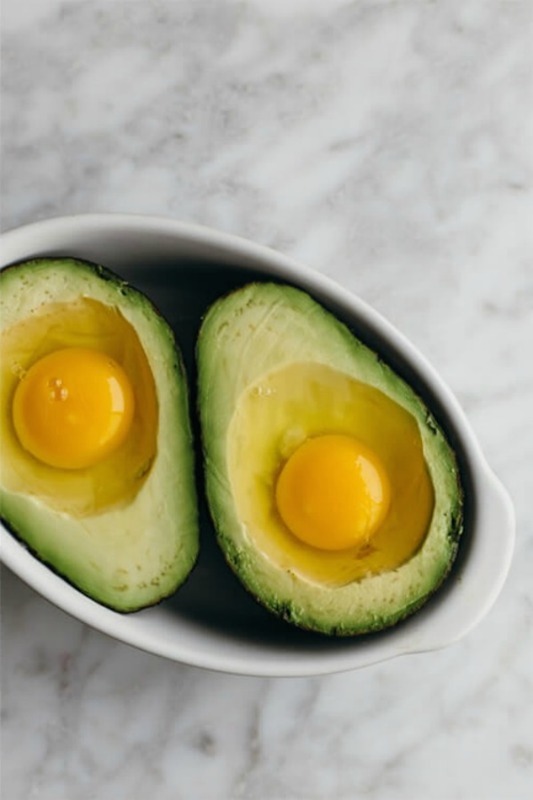 Tips: use a 1/4 cup measure to estimate how much avacodo to remove; use small eggs; add garlic powder; remove a VERY thin slice of skin from the underside of the avacodo so it will sit flat. Enjoy with a side of bacon or sausage! Awesome breakfast idea Ursula! Thanks for sharing. I’m definitely trying this right now.